In addition there were 26 birds that triggered the camera not able to be identified from the image quality to species level. Camera 1 – Still out of action after it was attacked by an aggressive lyrebird. 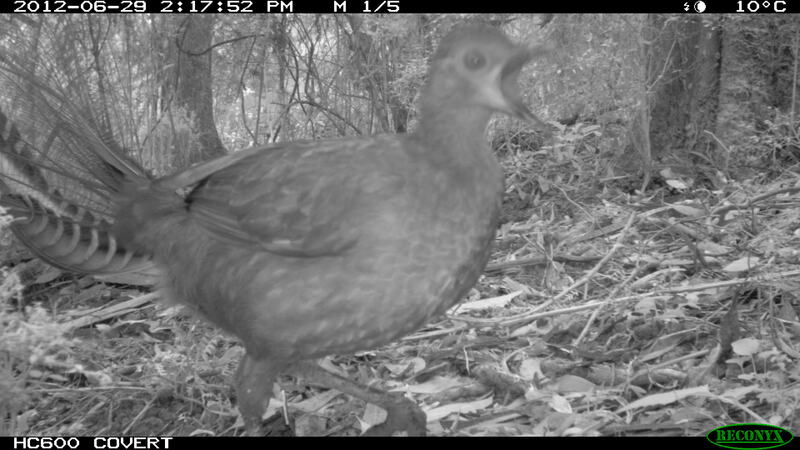 Camera 2 – Located in mature Wet Forest in the Tarra Valley was quite a prolific site, with the camera picking up lots of small birds e.g. White-browed Scrub Wrens and Bassian and Grey-Shrike Thrushes, as well as mammals such as Antechinus and Long-nosed Bandicoots, unfortunately there were plenty of Foxes and a Feral Cat present. 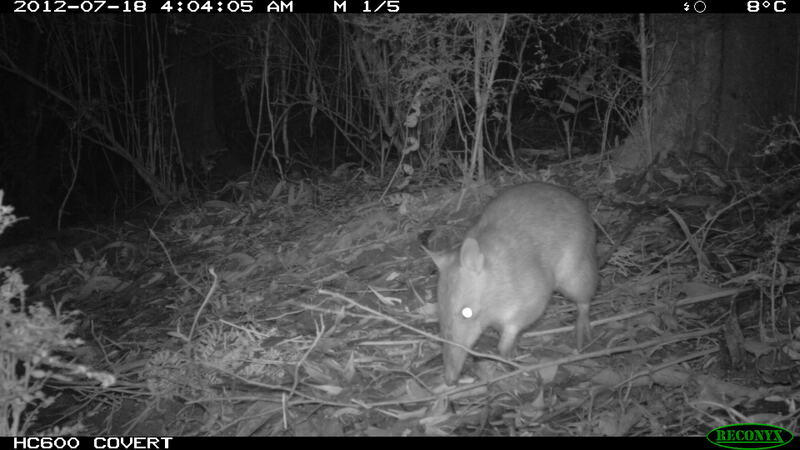 Also plenty of Wombats, Wallabies and some Brushtails. 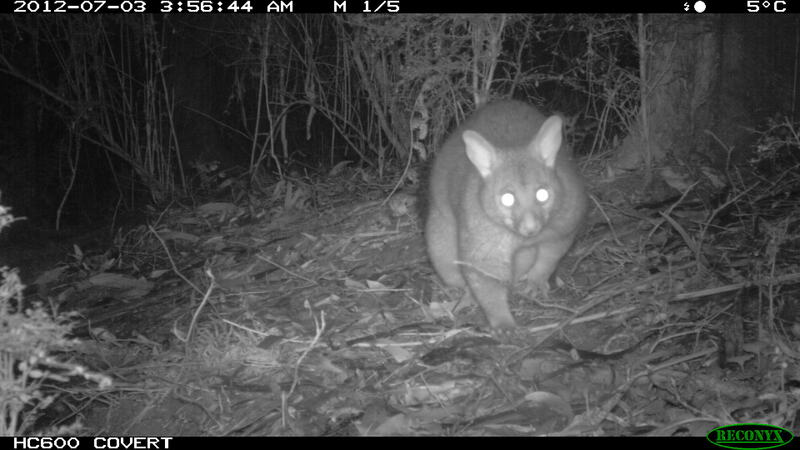 Swamp Wallaby – Grooming its tail. We recently moved one of our cameras down to a site in the Tarra Valley section of the park, to get a better idea of what wildlife is hanging around there. 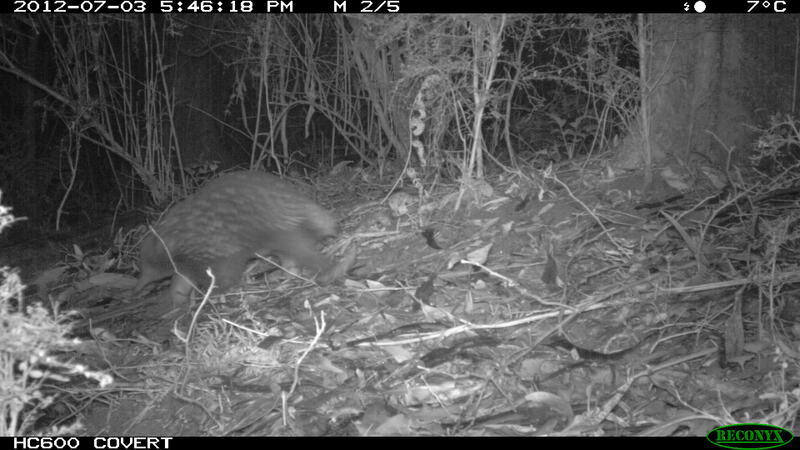 After the camera was checked the first time we had plenty of shots of Swamp Wallabies but nothing else apart from foxes. 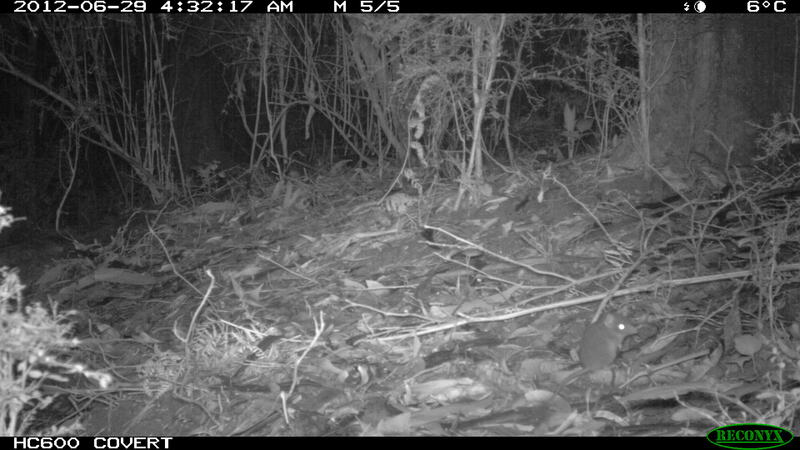 The camera was then moved a few metres to a new position where it could be set closer to the ground and the difference in the number of species photographed was quite remarkable. 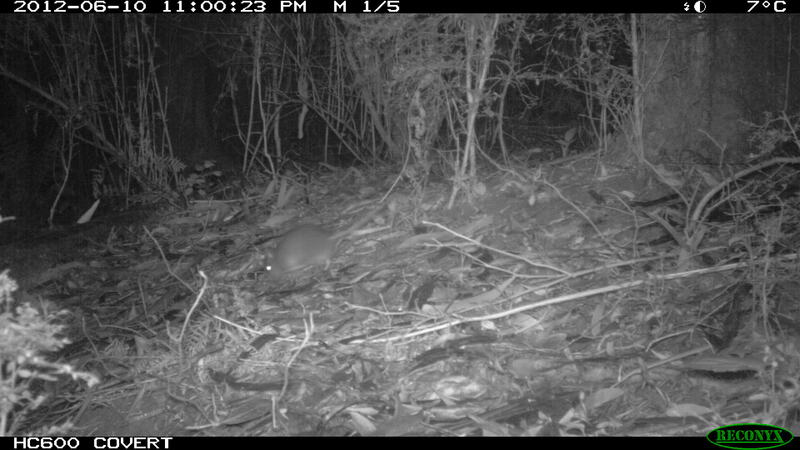 There are some great Long-nosed Bandicoot photos along with Antechinus and Rattus pictures, an Echidna and Possums (Not certain whether they are the Common Brush Tailed Possum of the Mountain Brush Tail (Bobuck) or whether we have both, The Bobuck’s have smaller more rounded ears. 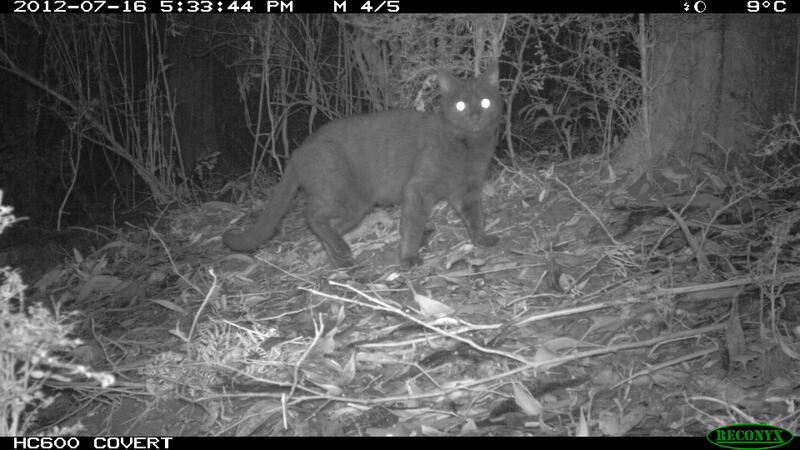 Unfortunately there are still plenty of introduced predators at this site with Foxes and Feral Cats present. We have been recording quite a few cats with our monitoring lately. 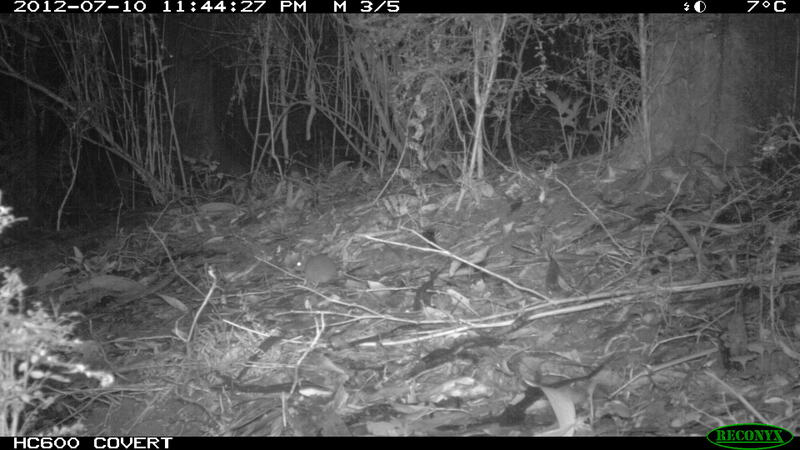 Antechinus – Hopefully you can spot it! 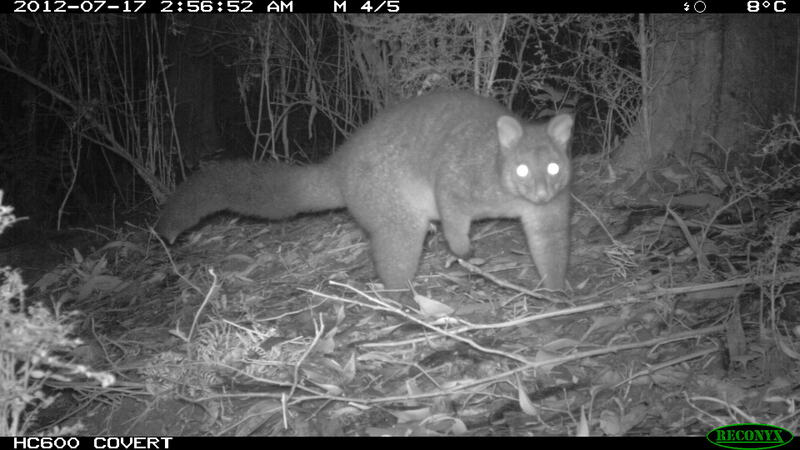 Brush-tailed Possum – This one seems to have large is so is probably a Common Brushtail.